When your sewer system isn’t working right, it can negatively impact your comfort and overall property’s health. Nu Flow Phoenix has years of experience dealing with common sewer pipe problems and will identify and solve your issue quickly and affordably. Backups or blockages – if you are noticing recurring backups or clogs in your toilet or bathtub, it is probably because you have a blockage in your pipeline. This symptom may also be linked to more serious sewer problems such as tree root intrusions, cracks, or misalignment. Gas smell – A sewer gas smell in your Phoenix property is a classic sign that you have a crack or leak in your pipelines. This is not only bad for your system – it can also be a dangerous health hazard. Mold – Similar to bad odors, mold can also be a danger to your property’s residents. If you are noticing mold growth on your walls or ceiling, it could mean you have a break in your sewer lines that is raising the humidity level. Slower drains – Are your drain’s slower than usual? This could be due to a blockage in your sewer pipe that will result in backups unless repaired quickly. Cracks in your foundation – If you have a serious problem with your sewer pipes, you may be experiencing cracks in your foundation. Tree root intrusions – tree root intrusions are a common and complex problem to have in your sewer lines. This is caused by a crack in your pipes that emits moisture and attracts vegetation to begin growing inside of your sewer lines. Clogs – While some clogs can be solved by a plunger, deeper blockages call for professional help. 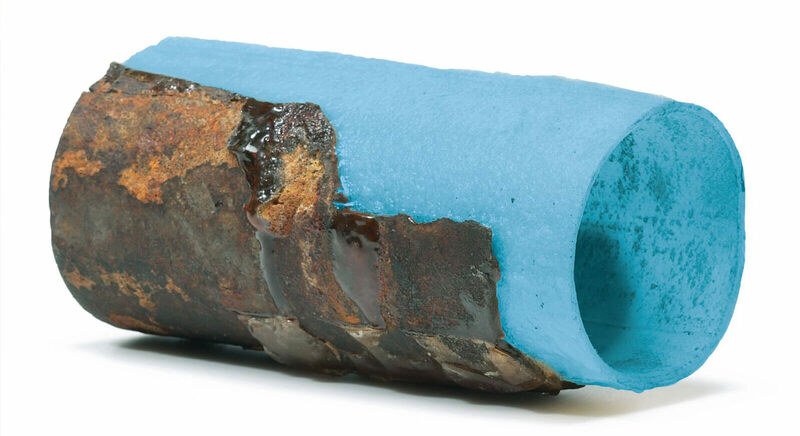 Broken/misaligned pipes – If your pipes are broken or misaligned, it could because of freezing or old age. Either way, it’s important to get a repair ASAP. Sewer Camera Inspection – every lasting repair is based on a thorough inspection. Our advanced camera inspection service allows us to locate the repair site and recommend the right option for you. Drain Cleaning – hydro jetting is a popular trenchless method that is used for cleaning pipelines and removing any blockages using a pressurized water hose. Trenchless Pipe Services – if your pipes are damaged and need replacement, our re-lining and pipe bursting allows us to repair sections of your lines from the interior. If you are experiencing a sewer problem in your Phoenix pipes, Nu Flow is here to give you a lasting solution at an affordable price. Call us today to learn more about our services or to schedule an appointment.